1. Make and share a milkshake together. 2. Make up a silly song that includes a verse about each family member. 3. Put together a Welcome Back to School care package for their teachers. 4. Fill up all the buckets, water balloons, and squirters you can find for one final and epic water war before school starts. 5. Buy a backpack to donate or give the money to an organization that purchases them for donation. Check your local area to find out where you can donate. 6. Take one last summer road trip, even if it's not an overnighter. 7. Host a game night and invite the neighborhood kids over for a boardgame tournament. 8. Declare Backwards Day and do as many things as possible in reverse, including eating dinner foods for breakfast. 9. Have a family read-a-thon and read as many books as you can in a designated time frame. 10. Make musical instruments out of household items and have your own battle of the bands. 11. 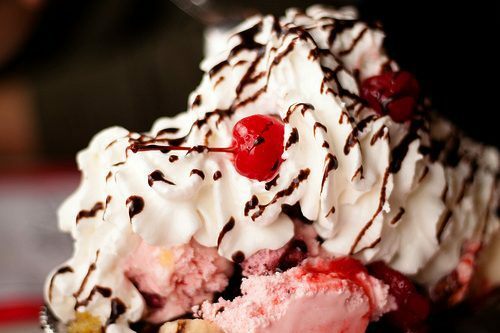 Have ice cream sundaes for dinner. 12. Watch Frozen, or whatever their favorite movie is, for the zillionth time and sing all the songs at the top of your lungs (and don't pick up your cell, or find any other excuse to leave the sofa). 13. Make bathtub paint and let them get creative as they get clean. 14. Play flashlight tag in the backyard. 15. Go for an evening stroll and talk about plans, hopes, and goals for the upcoming school year.